Fighting with My Family - Available as a download or stream? 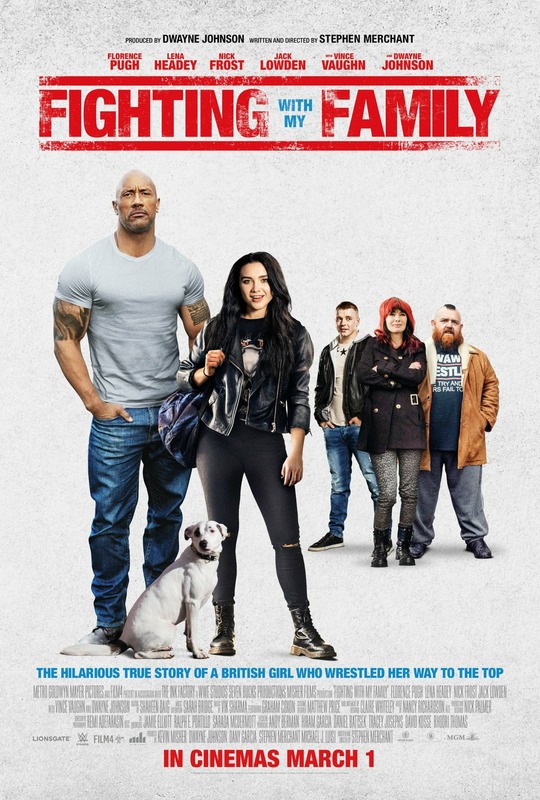 Dwayne Johnson’s company ‘Seven Bucks Productions’ has taken on quite a few big budget projects recently, but 2019’s “Fighting with My Family” is far from a blockbuster action flick. Heading back to his roots of professional wrestling, it follows the life of Saraya Bevis, known to most by her stage name ‘Paige’, and her unlikely journey to becoming the youngest woman to earn a championship title in the history of World Wrestling Entertainment. Everything about her up-bringing could be defined as unconventional, she was raised by two parents running an independent wrestling promotion, watching firsthand as they suffered countless injuries. Her parents allowed her to begin training when she was only a pre-teen, and would make her debut when she was only thirteen years of age. At age ninteen, she would sign her contract with the largest sports entertainment company in the world, where she would make history only two years later. Florence Pugh (Lady Macbeth) stars in the lead role, while her parents, Julia and Patrick, will be portrayed by Lena Beadley, and Nick Frost respectively. ‘The Rock’ will play a small role as his father Rocky Johnson, while Vince Vaughn has signed on to be iconic wrestling villain Jake ‘The Snake’ Roberts. Asides from Johnson, the only trained wrestler confirmed to be in the film is Thea Trinidad, cast as Paige’s “rival” in WWE, AJ Lee. This one hits theaters March 1st, 2019, written and directed by Stephen Merchant, who will act as a minor character in the film. Note says: "FIRST on NET No one else has this You won't find this on kido special thanks to carson rice .and BJ cammed by: Barry Aka sanford marketed by: Carson Rice Purchase at 127th Alsip flea market "
Though it is unlikely that the movie itself will be changed by this news. WWE Superstar Paige will be retiring at the age of 25 year-old due to injuries. So not only will this be an accounting of her adolescence, the portions focused on her wrestling career will now be covering most of her entire career. Expect a more conclusive story now that the real-life ending to the career of Paige has seen fruition.